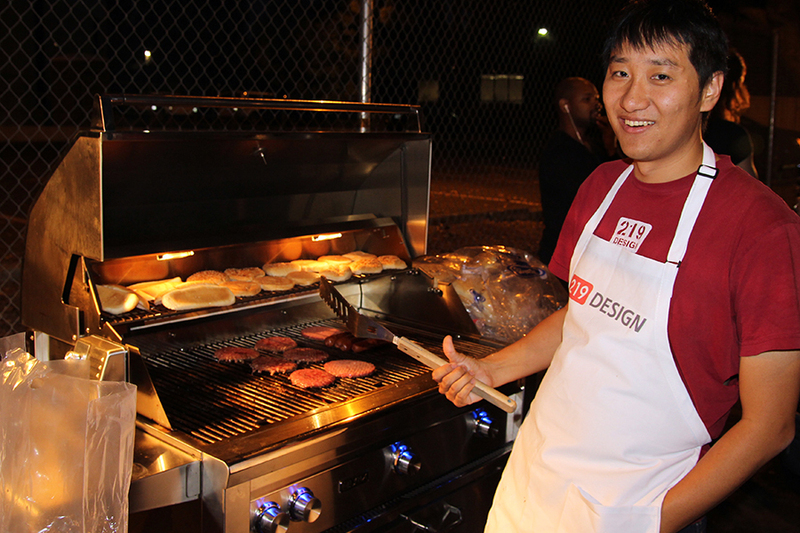 Last Friday, 219 hosted another ME218 Alumni BBQ for the alumni of Stanford’s ME218 class, aka Smart Product Design. The course description for ME218 states that it is a “Team design project series on programmable electromechanical systems design.” That description doesn’t explain why 218 is so hard to get into, or why it has a cult-like following amongst alumni. If you ask those alumni about the class, they will tell you that 218 is empowering because it enables you to make mechanical designs come alive with electronics and software. They’ll also say that 218 is transformative, in part because the new skills open new doors, and in part because of the relationships forged during tough project assignments. The great turnout on Friday was a testament to the close bond that the alumni feel with 218. About 75 people showed up to catch up with old colleagues, meet new 218ers, and otherwise have a good time. The night included an open mic session where 218ers at emerging companies like Leeo or at established players like Tesla and LinkedIn could let the community know what they are up to, as well look for new hires. Larry discusses the survey results. There was also a survey where alumni could share things like what year they took 218 and what their favorite microcontroller family is. An alumni from the 1995-96 class even brought his 218 t-shirt, a class ritual where the students design a t-shirt to commemorate their experience. Although the 2013 grads had the strongest showing, the year of 2002 had solid representation due in part to the fact that 219 Design’s founding members met in that class. Kuan takes a break from grilling for a picture. Of course, none of us would have been there if it wasn’t for Professor Ed Carryer, who carefully crafts the class each year to maintain technological relevance and to enhance student engagement by using the latest methods. 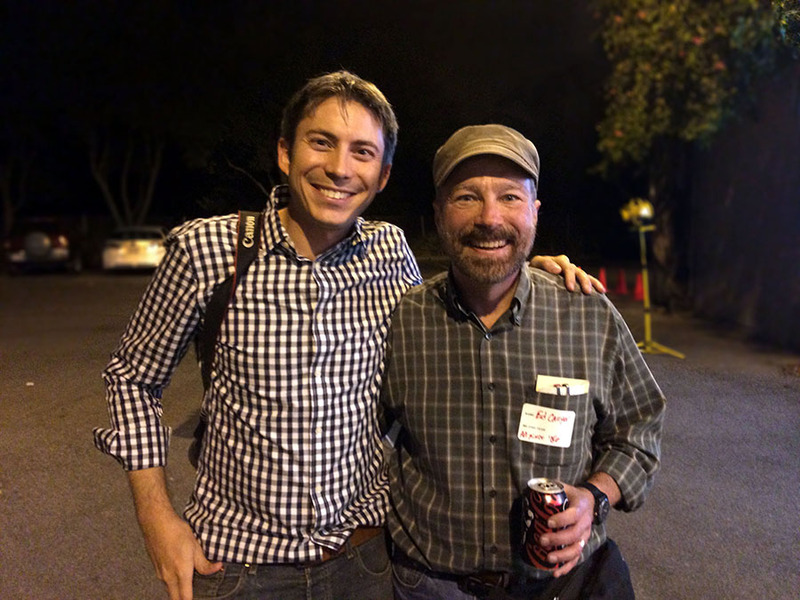 Ed is the best educator I have ever had, and I’m very fortunate to have taken his class. In fact, 219 Design’s name is a nod to the course series, because for us, our company was the next step after 218. Ed and Dave at the BBQ.